How hazardous is plastic pollution? 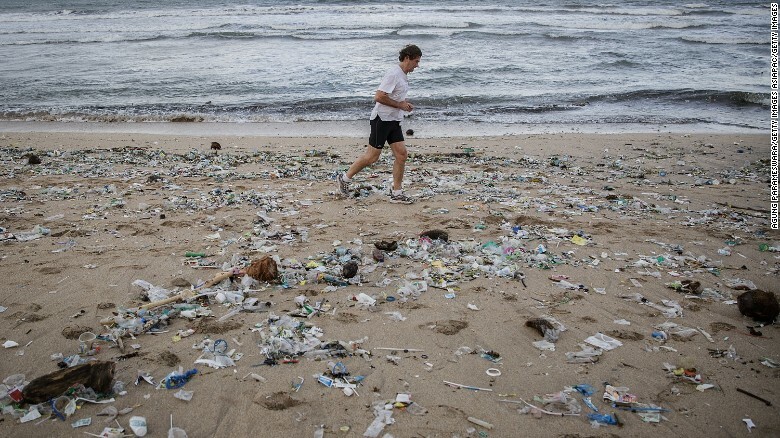 Plastic pollution can unfavorably affect lands, waterways and oceans. Living organisms, particularly marine animals, can also be affected through entanglement, direct ingestion of plastic waste, or through exposure to chemicals within plastics that cause interruptions in biological functions. If you’ve traveled to the lush Indonesian island of Bali recently, you might have received this peculiar greeting at the airport. It would have come from Melati and Isabel Wijsen who have been campaigning for four years to get plastic bags banned from their island. When they started out, they were just 10 and 12 years of age. And now, they’re about to succeed. Indonesia is the second largest plastic polluter in the world after China — its plastic waste accounts for a whopping 10 per cent of marine plastic pollution. The Indonesian government has pledged to invest $1 billion in reducing marine waste by 70 per cent by 2025, as part of the UN’s Clean Seas program. The goal is ambitious, given the dire state of some of the country’s 17,000 islands, including Bali, which has a population of just over four million. “Trash season” on Kuta Beach, Bali. The local government downplays the event, on one occasion calling it a “natural phenomenon,” but at its root are poor disposal systems and a lack of education on the problem of waste. Growing up on Bali, Melati and Isabel were surrounded by the negative impact of plastic. A fateful day at school gave them the motivation they were looking for. “We had a lesson in class about positive world leaders, change makers like Nelson Mandela, Martin Luther King, Lady Diana, and I remember at the ages of 10 and 12 we went home thinking about what we could do as kids from an island. So they didn’t. 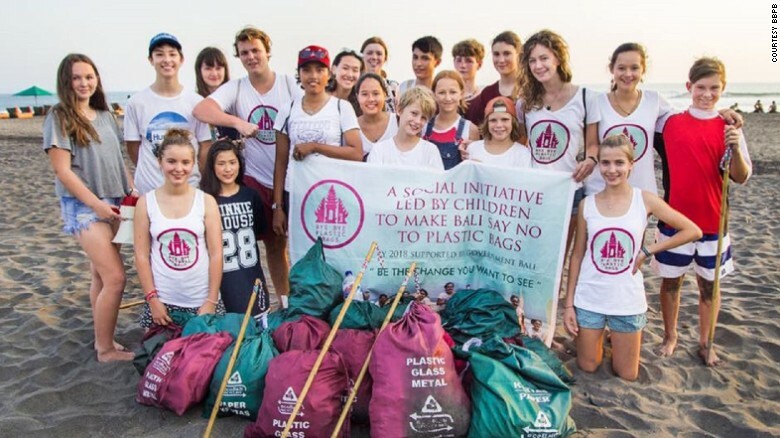 They founded, instead, an organization called Bye Bye Plastic Bags, an NGO driven by young people determined to get the population of Bali to say no to plastic bags. 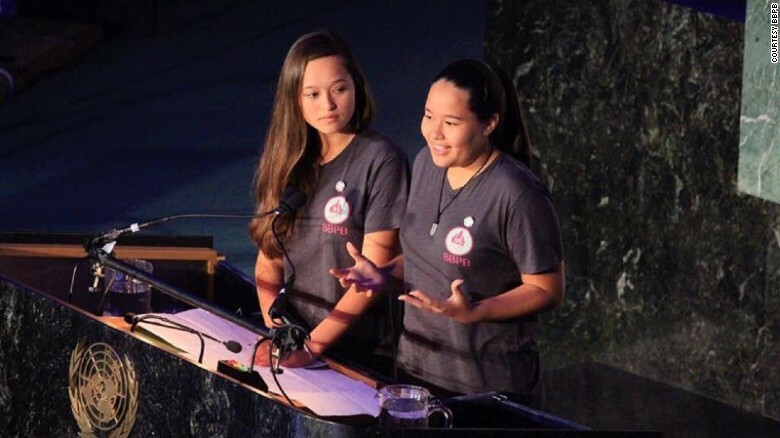 That was the start of an incredible journey that has taken the sisters around the world, including to London where they delivered a TED talk and New York where they made an appearance at the United Nations. >Melati and Isabel Wijsen at the United Nations in New York for World Oceans Day 2017. In their TED talk, they sisters noted that only 5 per cent of plastic bags get recycled in Bali, but the island produces 680 cubic meters of plastic garbage a day — the equivalent of a 14-story building. In their bid to get the local government to pay attention, they started a petition. They obtained permission to start collecting signatures behind customs and immigrations at Bali’s airport and, eventually, got over 100,000. Bali’s governor Mangku Pastika, however, remained unimpressed and for over a year-and-a-half failed to meet Melati and Isabel’s request for a hearing. Frustrated, the sisters decided to start a hunger strike — a decision inspired by trip to India and a visit to Mahatma Ghandi’s house. Due to their young age, they performed the strike under the supervision of a dietician and only from sunrise to sunset. Twenty four hours later they were escorted by the police to the governor, who signed a memorandum of understanding to help the people of Bali say no to plastic bags by January 2018. Bye Bye Plastic Bags is now a global organization with affiliates in several countries. Along the way, they’ve had other successes, such as Bali’s largest ever beach cleanup, which attracted 12,000 volunteers. “It was crazy to see so many people, no matter what age, nationality or occupation coming together for the same thing,” says Isabel. They believe the voice of the youngest generations should have a larger resonance. “If we could meet with world leaders and speak to them, we would tell them to listen more to the youth, consider us as more than just inspiration. We have bright innovative ideas of how to deal with some of the greatest issues of our time,” says Melati.